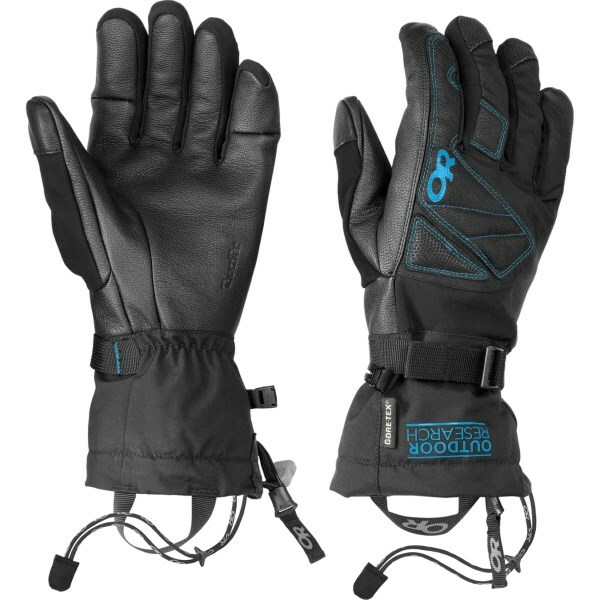 Built for repelling wicked weather on an alpine ridge or shielding from cold smoke on the hill, the versatile, warm and waterproof Illuminator Sensor Gloves are undercuff-style alpine climbing/ski gloves equipped with touch-screen compatible Sensor technology, so you can snap a summit shot without exposing your hands to sub-zero temps. The Illuminators hold in the heat with PrimaLoft insulation, shield from the elements with a waterproof, breathable Ventia insert, and provide supreme tactility and dexterity with a water-resistant goat leather palm. 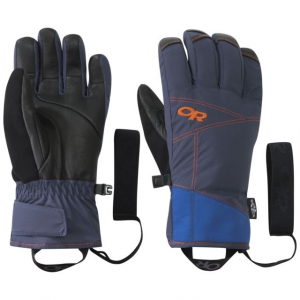 Outdoor Research Men's Accessories Illuminator Sensor Gloves Cobalt/Naval Blue/Burnt Orange Small. 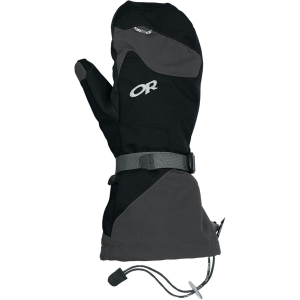 The Outdoor Research Illuminator Sensor Gloves are built to fend off nasty weather on alpine ridges or at the local resort. 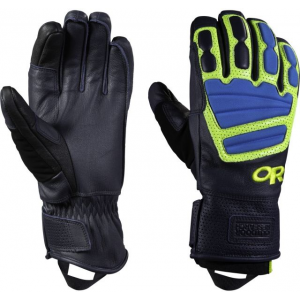 These versatile gloves easily slip under your jacket and hold securely in place with the convenient hook-and-loop closure. 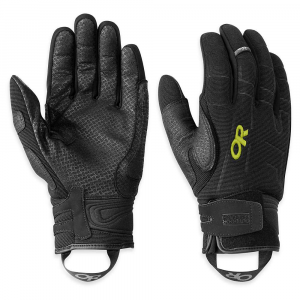 No matter how slushy or fluffy the snow is, your hands stay dry from the modern Ventia insert and give your hands room to breathe from the nylon and spandex shell. 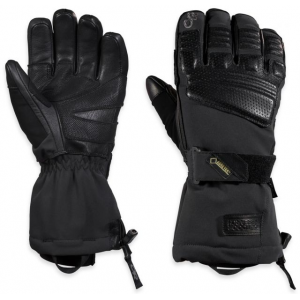 Equipped with touchscreen compatible technology, these gloves let you snap gorgeous photos on the lift without exposing your hands to sub-zero temps. 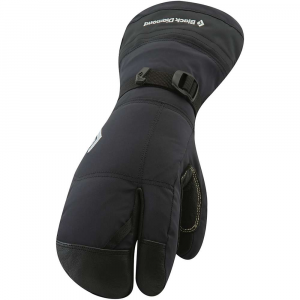 And since they're made with toasty PrimaLoft Silver insulation and a goat leather palm, they protect your hands from the elements and help you grip ski poles effortlessly.